Submit Your Experience for possible inclusion on this page. 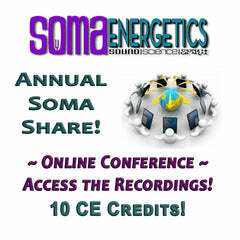 Angela Thea Abitz - SomaEnergetics: Calling all Light Workers! 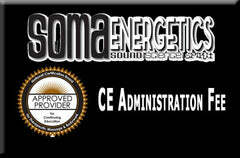 I would like to add my thoughts concerning Somaenergetics' continued support for practitioners throughout the years. Now that I am actively involved in practicing tuning fork sound therapy as my only profession, I have come to meet and know a variety of energy workers practicing in multiple modalities. Many, if not most, of these modalities continue to engage their practitioners in continual purchases of supplies and training classes that reach into the "thousands of dollars" range. David's brilliance and work to originate and develop the standard techniques and your unwavering dedication and skills to build a truly professional organizational structure exemplify the real focus of SomaEnergetics, which is truly about "opening the door" to those that are divinely called to be Lightworkers. 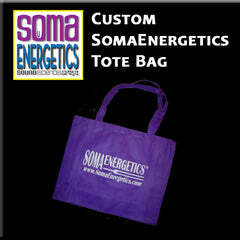 SomaEnergetics is about "working in the Divine Light" and there is absolutely no doubt about that purpose and continued fulfillment of that purpose. As my practice grows and I grow into this practice by following Divine guidance, I am continually amazed by the results and comments from my clients. Just yesterday, during a session, my client "saw" a Priest working over her. I asked her if she could place him in a time period, and she said, "yes". She said she thought "Egyptian". She said she was in a "white dome" with him. She said the dome was not completely circular, a little elongated.. I answered, "so sort of like a cocoon shape? And she said, "Yes". She added the Priest had a golden light, or lot's of little golden sparkles radiating from him. My conclusion is (and I have realized this for some time) that other energy workers from different time periods, and, Angels and God's Divine Light Energies are "showing themselves" to the clients. I have always looked at myself as the "messenger", and just the "Holder of the Forks". As David taught me, "you have to get out of the way" and let the work be done. The point I'm trying to make here, is that, I know the work is REAL. And I lift up Thanks and Gratitude Always for the work. And right now, I am thanking you and David for giving me the tools and training to offer these healing experiences to anyone that desires and gives me permission to do so. I have many other stories, but, I'm sure you and David are familiar with these events. So, I won't go on......but, just wanted you both to know, I am now "one with the forks". They tell me what to do and in such interesting and fascinating ways! I always hold true to the standard techniques, but now, I follow those little paths the forks give me during a session so clients receive exactly what the Universe wants them to have! 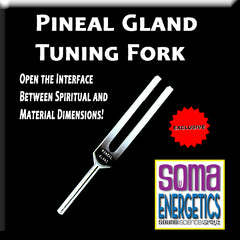 TUNING FORKS...........what in the world is that and how can something that sounds like that benefit the body??? I'm not the person that can go into detail about what they are but I can tell you what it did for me after my session with Lee Ann Cornell. I have a very busy schedule at the Pyramid of Enlightenment and on the day of the scheduled tuning fork session, I came into work feeling quite sick and in a not-so-good mood as a result - bad enough that I had my appointments rescheduled and I turned around and went home but said I would return for my tuning fork session. Once home, it would've been so easy to have stayed in bed and rested up but I came back and am so glad I didn't decide to stay home. Before and after aura pictures are quite revealing as part of the tuning fork session. Like anyone else, I had no idea what to expect but was really looking forward to participating. An aura is a human energy field, an electromagnetic field that surrounds the body, energies that permeate thru and emit or exit from the physical body. I know of auras, but still had to look this up.......It's hard to explain to people. Most people think of an aura as just a color that shows how you might be feeling at the moment of the picture taking....that's an easier explanation, I suppose................So the before picture was taken......oh my......look at this.......a huge red aura! Oh yes, I was feeling sick, which the red can indicate, and it can indicate anger, passion, anxiety, power, strong will, energetic, creative power, survival oriented (yes, I looked this up).........and well, the picture speaks for itself. At that moment, I was probably feeling a little of everything that red represents. The after photo speaks for itself as well. During this wonderfully relaxing session, I could feel the presence of angels. I'm a true believer in angels. I've seen them, wings and all. Their very presence is powerful and loving. I could also hear a woman (I believe to be the angel) speaking to me while Lee Ann did her work. What she stated was personal information, but beautiful and positive. The tones from the forks were just beautiful to me. I'm sure each person has their own feeling about the tones but for me, they were so lovely to hear. The experience affected me not only physically but mentally as well. I felt exhilarated. The tones from the forks do their work. It's not a hands on the body type of "healing." Your chakras are lined up, your body balanced. I also felt the presence of my father, who passed away last year. I knew others were in the room with us as well, but the angels were the STRONGEST presence. This was MY personal experience and it was wonderful. And once I left the room, I felt marvelous mentally..........my soul had a great session as well as my physical body! My after photo. WOW........It doesn't just speak. It screams. The angel presence is there. As I looked up the definitions of the aura colors, this picture shows the purple, which is a psychic color, and it states, the crown, the most sensitive and wisest of colors......the words from online, not my own.....but a good site that talks of auras.....it says psychic power of attunement with self, visionary, artistic, magical........but let's mention all the WHITE in this picture........you can barely see me in this picture. The white color meaning and I quote from a source online about auras "reflects another energy. A pure state of light, a spiritual, etheric, one of non-physical qualities, transcendent, higher dimensions, purity, truth, angelic qualities. White indicates angels are nearby"
And yes, I knew that they were in the room before this picture was taken and they made their presence known in my after photo. The difference in one hour.......the red goes into nearly a white photo......with the psychic color combination tho mainly white. As some of the clients have stated upon seeing the before and after photos, it almost looks like wings in the photo. I loved the tuning fork "healing." I loved having it done to me. I want to learn more about the forks and am considering taking a class for myself. The Pyramid had an experienced world known gentleman teaching the class. The day of his class, I was working, doing back to back private sessions and watched with fascination between my own appointments as I called in each person. I could only watch for a few seconds, but I was intrigued with what was going on and hearing the sounds of the tones as they practiced on each other. Again, for me, the tones were so beautiful and as Lee Ann did her work on me, they were magical.......beautiful, serene, and I felt better than ever. Yes, we all go to the doctor for our physical bodies, some go to a doctor to help their minds when depressed, but we need to have our "metaphysical" bodies taken care of, too.......many people are still not sure about how to make that happen or don't believe in it. We're more than a body........we need to take care of our mind, body AND soul.......tuning forks can be one way to pursue that type of healing. After taking your class 2 years ago, I felt compelled to integrate the tuning forks into my dental practice. One weekend of Level I completely eradicated my 12 years of Fibromyalgia. Sure, I was shaking and freezing during the treatments in the class, but I guess I had a lot of blockages to release. On Monday morning, I could not dismiss the reality that I was pain free. I have totally embraced this healing modality and have fully integrated a "2 minute tune up" into every dental visit for every patient. Each staff member is fully trained in offering this to everyone that walks through the door. We're not just talking about the patients but the delivery people, mailman, visiting health practitioners, even people that are lost and ask for directions. Everyone, and I mean everyone is blown away by this simple tune up. They feel the tingles, see colors, and more importantly walk away feeling like they just experienced a relaxing meditation. The best part is that patients are so relaxed at the end of their dental visit, that they don't even mind paying their bill at the check out desk. Actually, they are thanking us for such caring and profound service. Thank you again for educating the world about these amazing frequencies. 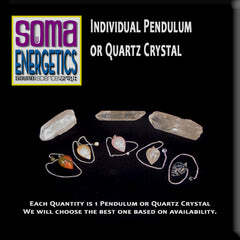 I have difficulty in expressing my bliss in words, to explain how Soma Energetics has changed my life and the lives of everyone I come in contact with. Firstly, I am self Employed and Own and Operate an Auto Body Shop in Toledo Ohio. I have been doing meditation for a number of years. Yes, my life has changed when I became more open to my inner self through this. 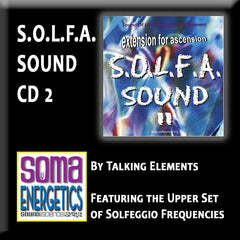 Again at a Quantum levels 2011 when I was introduced to Soma Energetics. Today I am very well versed in Sound Therapy due to your Tuning Forks and RIFE and other modalities that I use. I love the positive effects it has on myself and my clients during and after sessions. Doors GET reopened that need to be opened. I fully intend to take this to the levels it deserves to be. I have since then changed my life's priorities from operating my business to using my business as a vehicle to take me to the next level of Healing Modalities. Recently I did a Lacota Sweat Lodge group and did a Tuning Fork Meditation with 15 people . The results were quite interesting in this old home. Are you aware what can happen when you put 15 highly spiritual light workers in a meditation group with tuning forks? Well I'll tell you..... Shadows were appearing drifting with the associated chills , One wall light gently flickered several times and I saw with one one person saw a gray energy stream from his right ear. between him and the tuning fork.... Powerful to say the least. My path has awakened and my ingrained codes are translating and am remembering once again my human potentials. All credit is due you with God Speed David and Tim! I never leave home without it! Even more important than my American Express card is my little purple velvet pouch which contains three extraordinary angel tuning forks or Guardian Angel Chimes, as I refer to them. They are with me at all times and find they are especially necessary when I need to clear the energy in a meeting room or hotel room. I am an international consultant and my work takes me all over the world where I am bombarded by all sorts of energy fields and vibrations. 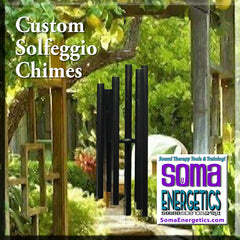 My angel chimes, from SomaEnergetics, never fail to get whatever space I find myself in vibrating just right so that I feel peaceful, protected and balanced. I clear the energy on my airplane flights as discreetly as possible—often just chiming them just below my feet and under the seat next to mine. Before meeting clients I always clear myself (chime my entire body and call in my angels) and whenever possible, I clear the conference rooms where important and often contentious meetings will be held. 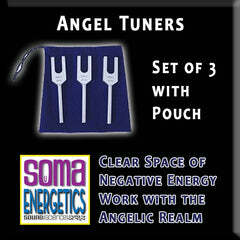 I also have another set of tuning forks from Soma Energetics that have virtually changed my life and the lives of my husband and 13 year old son. About 4 years ago I purchased the Original Solfeggio Energy Tuners just for fun—never suspecting that they would be as powerful as they are. 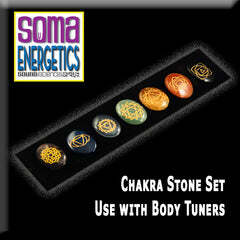 They are a set of six, colored tuning forks that align with the Chakras of the body. Even if you don’t believe in the chakra system, each individual tuning fork serves a different vibrational or energy field within your body. For example, there’s one for “transformation and miracles” another for “changing DNA” and another for “Connecting with Divinity” and three additional, powerful tuners. There really is no way to describe how they work, it would be like trying to describe an opera—they just work. Their colors impart certain energy as do their vibrations and our bodies respond on a cellular level to these qualities. When my son has an upset at school or feels like he’s coming down with a cold—I tune his body with just the right combination of tuners and it is usually all he needs to get back in balance. None of us, in spite of my travels and my son being around other students all the time, are ever ill with colds or anything else. We often hear from people who visit our home that it has a very special energy and “feeling” and that they feel better as a result of being in our home. I use the tuning forks around the house all the time. We recently re-modeled and the workmen would line up to be tuned—they all said it made them feel better. I must say, we really did have a pretty easy and smooth experience for the entire 7 months we were remodeling. There was one guy who would often come in and say “I have a headache, please 'chingching' me.” And he invariably would tell me he felt better after a clearing. 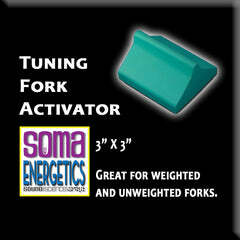 I love my tuning forks. My family relies upon them to clear the kinks out of their energetic field. I strongly urge anyone seeking a quick and effective way to re-calibrate themselves on a daily basis to try these powerful and beautiful tools. It has been just over a year since we started exploring the possible healing properties of the Solfeggio Tuning-Forks, and we’d like to share more of the results with you. 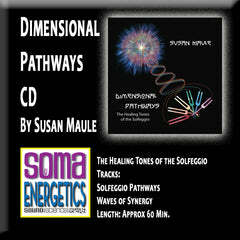 There are two basic ways to use the Solfeggio Tuning-Forks for healing. After sounding the tuning-fork by striking it on a firm, but not hard, object such as a hockey puck, one may (a) pass it through the air around the subject or (b) touch the handle of the fork to a painful spot on the body. The first method may involve patterned passes relating to Chakras or nadis or may consist in simply passing the fork(s) back and forth over the top of the head from ear to ear. In our experience, most people find this to be extremely relaxing. The second method, using the 528-Hz tuning-fork, has given extremely good results for sore muscles: In nine of ten cases so far, the pain has disappeared with eight minutes of treatment. Sometimes the pain disappears immediately. 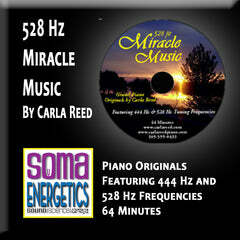 But for seriously bruised or strained muscles, one may need to use the 528-Hz tuning-fork once or twice a day until healed. Pain that likely comes from pinched nerves or long-standing conditions such as scoliosis has not been relieved by one or two applications of this method; however, there is always the possibility that long-term use of the method might bring relief. We suspect that this second method might be very valuable in the treatment of fibromyalgia, and we would like to hear about any results you might have in this vein. 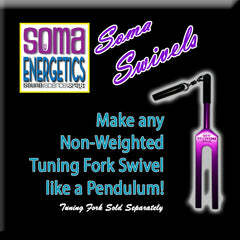 WTLC has a set of Solfeggio Tuning-Forks that you may use at the center; just ask at the office. We did have one very interesting outcome: A woman had suffered from shoulder pain for a year. She had a series of X-rays and an MRI; the images showed a lytic lesion (a hole) in the upper end of the left humerus. One doctor thought it was bone cancer, but the orthopedist said that the bone around the hole looked healthy. He said that she probably was born with it—that it was like a bubble in glass. The images, however, did not explain the shoulder pain. The doctors sent her for a month of physical therapy, saying that it would make her either better or worse and, if it didn’t make her better, they would have to do exploratory surgery. The therapy did not help, and the surgery was scheduled. We suggested that she try the tuning-fork first. On May 19, 2004, the 528-Hz tuning-fork was applied to the sore spot on her left shoulder (scapula; midway across the shoulder, about three inches down the back) for about a minute and a half. A couple of days later, she was able to lift her 50-pound grandson with less pain. On May 23, the handle of the vibrating tuning-fork was applied to the sore spot on her shoulder (left scapula), and the muscle began vibrating strongly, like a drum, in response. After a couple of minutes, the muscle seemed to soften, and the handle was moved an inch or so to where the muscle was still taut and vibrating. When that spot stopped vibrating, the handle was moved again. After about eight minutes, an area of about two by four inches had been covered, and the muscle was soft. Her year-long pain was gone. She canceled the surgery. Six months later, a series of six more X-rays were taken, from all angles: The lesion was gone. The hole had disappeared! Interesting. . . . Could it have been a result of using the tuning-fork? She still has joint pain, and they tell her that she has arthritis in her shoulder and knee joints. She is looking forward to trying the tuning-fork on her joints and seeing what happens. One more quick anecdote: A young man was in great pain and could hardly walk after a piece of lumber fell on his neck. Because of that and previous severe injuries, he could not be touched. We therefore used the first method, passing the vibrating 528-Hz tuning-fork back and forth from ear to ear over the top of his head. His right hand was pain-free, so the handle of the tuning-fork was also applied to the area between his thumb and forefinger, as in some teachings this spot is thought to influence the entire body. (This is useful if you hurt in a spot that you cannot reach.) After about eight minutes, we asked how he felt. “My headache is gone,” he said. How long have you had it? we asked. “Two years,” he said! The headache did come back after a couple of days, but he was moving freely. He, too, plans to explore whether the Solfeggio forks can improve his recovery from old injuries. If you would rather experience the gentle Solfeggio vibrations in musical fashion, one of our WTLC members whose hobby is building stringed instruments is currently crafting a Solfeggio lyre. Maybe you could order one. Or maybe get a sitar or Indonesian gamelan and learn to play for your health and spiritual upliftment. I myself am learning to compose music on the computer. 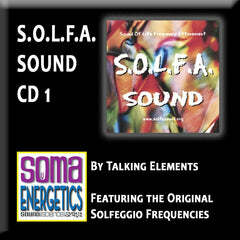 It’s very complicated, but any day now, I am going to figure out how to create my own Solfeggio music. Good vibrations! 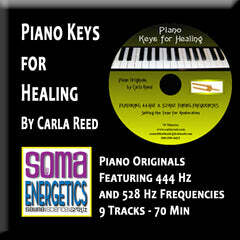 I have to confess when I first heard about the Solfeggio Scale Tuning forks I thought .."yea right" and only attended the very first SomaEnergetics workshop because of my friendship with Tim Leach and David Hulse (I have been their massage therapist for over 10 years) I walked away from that workshop feeling very confused about what I had just experienced. Somehow, these forks worked as I felt extremely relaxed even though the forks were only used on the energy field of my body. On the way home I tried to figure out how I could incorporate using these marvelous forks on clients that are used to me physically touching them for their aches and pains. How was I going to convince my clients just how powerful and healing the forks are. 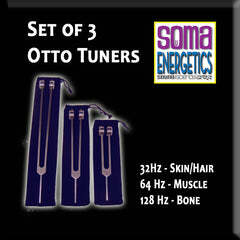 I had no problem incorporating the “Otto Tuners” as they are used on the physical body and my clients could feel the penetrating vibrations of these forks. The Solfeggio Scale was a whole different ballgame and only a few clients were open to being “tuned”. I attended a Light Within Ministries retreat over Labor Day weekend of 2003. David Fish, one of the presenters at the retreat, demonstrated how to use muscle testing to show the effectiveness of the Solfeggio Scale forks. I thought to myself “what an idiot I’ve been”. I love muscle testing but it never occurred to me to test the power of the forks with muscle testing. Sometimes we are blind to things that are right under our nose. 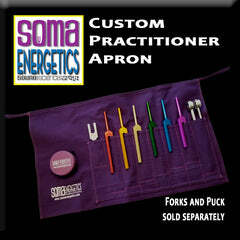 I came home from the retreat very excited and began demonstrating the “power” of the SomaEnergetics Solfeggio Scale forks on Monday. Clients could now visibly see and physically feel the difference in their strength the forks make and they became excited as well. Oh there are a couple of people that get really upset that I could now show them via muscle testing the forks work, however, they want me to continue using the forks on them. Now I use these incredible healing tools on almost all of my clients and have been amazed at the different ways clients are affected. I’ve had clients start laughing and giggling for no apparent reason just as I’ve seen clients release anger, fear and emotional pain through crying and/or talking. Some clients can feel their energy centers opening and can sense the energy moving up the back and down the front side of their body. One of my assistant’s (Abby) clients is very much into energy work. If I’m doing a “tuning” on one of my clients she can tell what fork I’m using and on what part of the body even though she is in a completely different room. The one common denominator for everyone is that they simply feel better after they have been “tuned”, more relaxed, calm and at peace with themselves and who knows perhaps even the universe. Since I now use the forks on almost all of my clients I am reaping the benefits as well giving new meaning to the song “I’ve Got Those Good Vibrations”. I want to thank both of you for encouraging me not to give up on the forks and allowing me to be a co-creator in this wonderful healing modality. 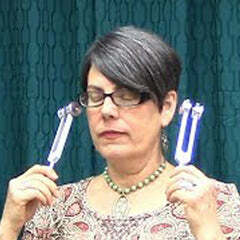 Last week I experienced a tuning fork attunement. I had some idea about sound healing, and I thoroughly believe music can heal, so I knew that this would be beneficial to me. But I had no idea what form it would come in! LOL! Within an hour of coming home from my uber-relaxing session with Pam Pendlebury, LCMT, I had a sudden urge to go out back and pull out that rusting swing set that was thrown into the woods by previous owners. I drove the truck out there determined, despite May flies and rusted bolts! Upon pulling out of that area, I stopped at 3 other areas and dug up old car parts, barbed wire, tires – well you can see all the CRAP I pulled out of the earth! Next was the barn. Soffets, drip spouts, OUT OUT OUT! Long story short, I had a major metal imbalance in the land around me and the forks pointed it out to me in the funny way that they do. This one happened to be fast and furious! There was an entire second load after the one pictured. Unbelievable. Pam just laughed at me, she called me funny. 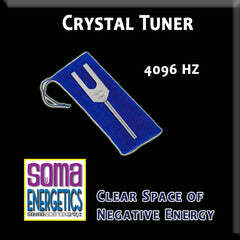 Tuning forks are designed to create a vibration of sound that is at a pitch that has been forgotten since the pyramids. Hidden similar to the dead sea scrolls, these pitches are (i am not a professional) considered equal to “the Om” and if you google tuning forks you will get a litany of the forgotten pitches that heal our bodies and connect us with the divine. My favorite part was when she touched the fork to my heart, the vibration was incredible! 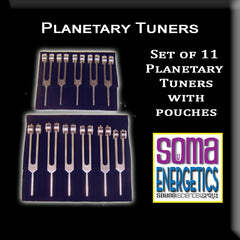 Prior to my recent purchase of the SomaEnergetics Solfeggio tuning forks I was using only the planetary tuners. 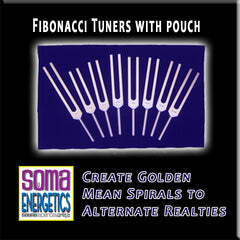 The addition of the Solfeggio forks has really amped up the effectiveness of this process. Allow me to share a recent experience with you both. On Sunday 3-14-2010 from 12:25PM to 1:02PM in Grand Junction-CO ( the timeframe varied from location to location ), Jupiter was within a 5 degree orb of the local midheaven during the planetary hour of Jupiter, while Jupiter was in a position of +8 dignity ( very high dignity ). My wife and I took advantage of this relatively rare configuration by performing Cosmic Rhythm Attunements on our bio-spiritual energy systems. We started the Attunement process with the Earth tuner to clear the dissonance and establish of sense of grounding, followed by a statement of intention. We then simultaneously held the Jupiter body tuner with the UT body tuner on the heart chakra, the brow chakra, and then thru the auditory- nervous system, while calling forth the prospering energy of Jupiter. We repeated this process with the other 5 solfeggio body tuners, employing the body tuners during the entire 37 minute timeframe that Jupiter was within 5 degrees of the local Midheaven. It was a tremendously enjoyable process. I was still buzzing two hours later. Fast forward to Friday 3-20. I've been working at my current job position for the past 3 and a half years. During that time I’ve received no annual raises. On the morning of Friday 3-20 ( 5 days after performing the Cosmic Rhythm Attunement ) I received a whopping 23% raise, PLUS a small lump sum payment to make up for a portion of the lost wages from the wage hike freeze. These tuning forks have some very real power! Just wanted to share my success story with you and thank you for the part you played in making solfeggio tuning forks available to the public. “I attended your seminar in Tallahassee where you used a tuning fork on me…within 24-48 hours I realized my feet were normal again. I am diabetic and had been experiencing poor circulation and numbness for several years. I was amazed and of course totally grateful for the healing, it was my first with outside help (other than the usual medical …). Beau – Quarter horse / pony. (Black gelding.) I would Bio scan, Massage & align then, use the Solfeggio Tuning Forks. The horse was very stiff, would not flex at the pole, would not arch like a cat. He was reactive in the ribs. He was well behaved and has a loving owner that wants to have her horse feel his best. This was my first horse! As I was doing the bio-scan, massage- alignment with Beau I asked the owner and her Mother if I could use the tuning forks. I explained that the frequencies are from pre 1600 AD. The leaders of the church changed the frequencies. 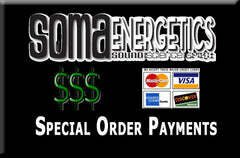 They changed the frequencies to what we know today as our musical scale. (A, E, G, B, D, & F or Do, RE, Mi, Fa, So, La, and Ti) The owner, Danielle readily agreed. The Mother was a little skeptical but, when I told her I would not charge any extra she agreed too. I did the forks to the horse and the owner / rider. I felt that the two needed to be balanced together. The OM tuner was the first one. The horse listened. Beau was alert yet still. He was relaxed from the massage and bio-scan. I put the OM tuner to Danielle’s ears and she loved it. I put the tuner on the horses pole, withers, bai wa, and tail head so he could feel the vibrations. Then back to his ears. I put the fork to my ears. Then I put the fork to the owner’s ears and on the owner’s shoulders so she could feel the vibrations. Next, I used the UT tuner. I did a variation of the ten minute tune with the horse and the owner. During this session the horse was reactive. I let the energy move the forks. I visualized the vibrations clearing the meridians and the horse feeling wonderfully free and unbound! As I worked through the various forks I noticed the horse’s behavior. He would turn and look at me, drop his head chew….on the blue fork he actually turned his head and hugged me. The purple fork he moved away from the sound. I found him to be receptive, responsive and enjoyed working with him. By this time the sounds of the tuning forks had brought two people over to see what I was doing. They stayed for the entire tuning session. As I worked with the horse and his energy his eyes showed various expressions. The horse seemed quite receptive to the various frequencies and vibrations. I finished the session with the horse and had the owner walk the horse for ten minutes or so. I asked Danielle to let me know how he rode and told her to ride him the next day. She was so excited to be able to ride. As she was walking the horse I let the onlookers hear the tones. 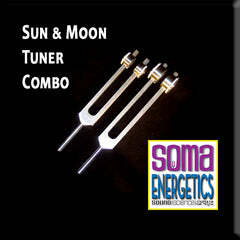 The OM tuner is a warming grounding vibration. By their positive comments I could tell that they like it. I did not hear back from Danielle. I thought, hum…should I call her and ask? I decided not to call as I would probably see her at some point. Two weeks later, I saw Danielle and her horse at an open ride. As I walked up to her she was beaming! I said, “How is Beau”? She told me, “He is a different horse”. He is more responsive, flexible, and feels wonderful! A week or so later I read on facebook that the pair had taken 2nd place in a barrel competition at a rodeo in Michigan. I was very happy for the pair. 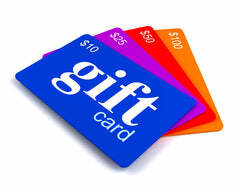 Submit Your Testimony for possible inclusion on this page.